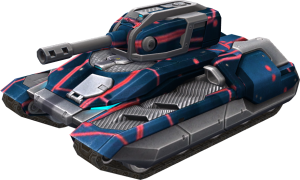 This unique paint job was designed exclusively for members of the "German Tanki Tutorials" parkour team. These guys not only perform various tricks on their tanks, but also produce excellent video guides. This page was last modified on 19 September 2018, at 15:07.